At Three Rivers, we provide high quality products at an affordable price, as well as an unmatched level of customer service. 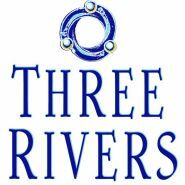 Come in today to experience Three Rivers for yourself. You will see that we are not like the "other guys". We genuinely care about our customers, employees, and our community. We are a locally owned, Pueblo based company that would like to earn your business. Give us a try and you will see what the buzz is about.